Giveaway : $50 PayPal Cash (Open Worldwide)! Robert Erich of Money Nomad is giving away $50 PayPal cash through a Rafflecopter giveaway form, shown below. I am a part of this giveaway too. If you follow me on Twitter, just claim that entry in the giveaway form. There are lots of other ways to get more entries. So go ahead and check it out. Giveaway is open internationally and ends on May 16th, 2016. Winner will be contacted by Rob. Good Luck! Giveaway : $150 PayPal cash (Open Worldwide)! Disclosure: The bloggers involved in this giveaway were not compensated, and are not responsible for prize fulfillment. Lil’ Blog and More will be sending the prize out. Must be 18 years of age or older to enter this giveaway.This giveaway starts March 20th, 2016, and will end on April 7th, 2016 at11:59 pm. The winner will be emailed, and have 48 hours to respond, or a new winner will be chosen. Once a winner is drawn and confirmed, the name will be announced on the Giveaway Tools form. Open to worldwide entries. Giveaway & Book Blast : The Fox and the Snowman by Angela Muse! Mother Daughter Book Reviews is pleased to be coordinating a Book Blast for a new picture book by author Angela Muse, “The Fox and the Snowman” (November 2 to 4, 2015). < strong>Prize: One winner will receive a $100 Amazon gift card or $100 PayPal cash prize, winner’s choiceGiveaway ends: November 15, 11:59 pm, 2015Open to: InternationallyHow to enter: Please enter using the Rafflecopter widget below. 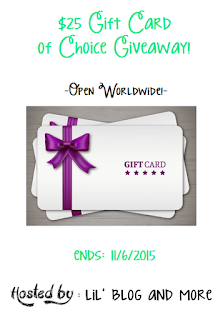 February Blogger Appreciation Giveaway 2015! 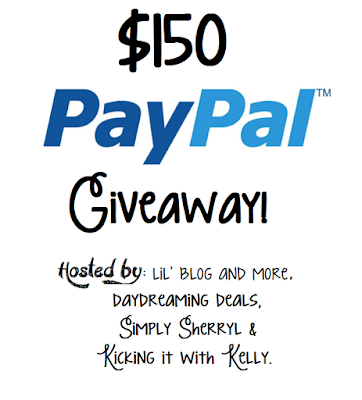 Welcome to the $100 February Blogger Appreciation Giveaway 2015! – hosted by Mother Daughter Book Reviews. This is my “Shoutout” to my wonderful “Book Blasters” who posted book blasts with us over the month of December, 2014. Big, big thank you to each and every one of you! You are much appreciated. As a thank you to all book blasters, including me, Renee of Mother Daughter Book Reviews has set up this giveaway. 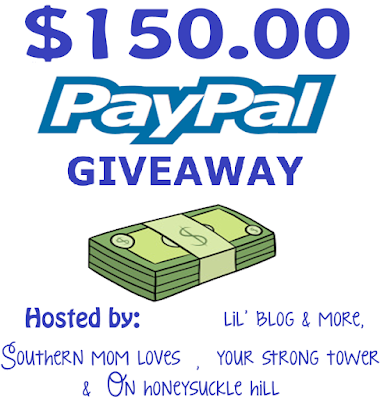 Do enter the giveaway for your chance to win $100!. One of the entries is to follow my blog by email. So, if you are already doing so, claim your entry by entering through the Rafflecopter link! Terms and Conditions: NO PURCHASE NECESSARY TO ENTER OR WIN. VOID WHERE PROHIBITED BY LAW. The winner will be randomly drawn through the Rafflecopter widget and will be contacted by email within 48 hours after the giveaway ends. The winner will then have 72 hours to respond. If a winner does not respond within 72 hours, a new draw will take place for a new winner. Odds of winning will vary depending on the number of eligible entries received. This contest is in no way sponsored, endorsed or administered by, or associated with Facebook. This giveaway is sponsored, hosted and managed by Renee from Mother Daughter Book Reviews. If you have any additional questions – feel free to send and email to Renee(at)MotherDaughterBookReviews(dot)com. Book Description: Apple Pie for You and I is one fantastically colorful and happy little children’s book! Kids love to count the pieces of the pie as these hilarious critters gobble them down. They also get a little lesson in grammar and find out what happens when they eat too many slices! Message from the Author: This project was a lot of fun and I know your children are going to love it. I simply wrote a poem about raccoons eating an apple pie. Illustrator Daniel Bulleri brought the story to life. Grab a copy and enjoy it with your little ones. The book is available as a Kindle e-book and the paperback is coming soon! The Illustrator, Daniel Bulleri, is a graphic designer and graduate of Chico State University. Other published work includes Your Magical Laugh, written, illustrated and published for the most important people in his life…his own children. BOOK SALE: You can grab a copy of Book 1, “Ghost Leopard” for 99 cents from Amazon starting December 18, 2014 for a limited time. PURCHASE NOW! Prior to writing novels, Lars Guignard wrote for film and television. As a teenager he attended boarding school in the Indian Himalayas and his experiences there provided the inspiration for the “Heroes of the Himalayas” series which now include: Zoe & Zak and the Ghost Leopard, Zoe & Zak and the Yogi’s Curse, and Zoe & Zak and the Tiger Temple. Giveaway and Book Blast: A Moat is Not a Goat by Elsa Takaoka! Summary (Amazon): This is a collection on 16 beautifully illustrated poems about sweet and charming everyday experiences, especially written for little girls. This book will teach, inspire and empower little precocious lassies, opening their hearts and minds to the delightful world of imagination. “A Moat is not a Goat – Poems for Clever Little Girls” follows Elsa’s interesting writing style of letting the reader have loads of fun, solving fiendish clues and reading aloud rhymes that trip off the tongue with ease.” ~ Read it Daddy! Giveaway and Book Blast: The Nancy Cat by M.R. Shields! Book Description: Agent Rose is a secret Agent and the best in the business. Everyday he has to deal with the dangerously impossible, the risky and improbable. When tasked with infiltrating a super maximum security vault, Agent Rose calls upon help from an unusual source..
A fantastic little story for children aged 8+. M R Shields is a Children’s and Young Adult fiction writer from Perth, Scotland. He is best known for his ‘Chronicles of Astoria‘ Young Adult series and loves creating stories that make children smile or laugh, and not necessarily in that order. Terms and Conditions: NO PURCHASE NECESSARY TO ENTER OR WIN. VOID WHERE PROHIBITED BY LAW. A winner will be randomly drawn through the Rafflecopter widget and will be contacted by email within 48 hours after the giveaway ends. The winner will then have 72 hours to respond. If the winner does not respond within 72 hours, a new draw will take place for a new winner. Odds of winning will vary depending on the number of eligible entries received. This contest is in no way sponsored, endorsed or administered by, or associated with Facebook. This giveaway is sponsored by the author M.R. Shields and is hosted and managed by Renee from Mother Daughter Book Reviews. If you have any additional questions – feel free to send an email to Renee(at)MotherDaughterBookReviews(dot)com.